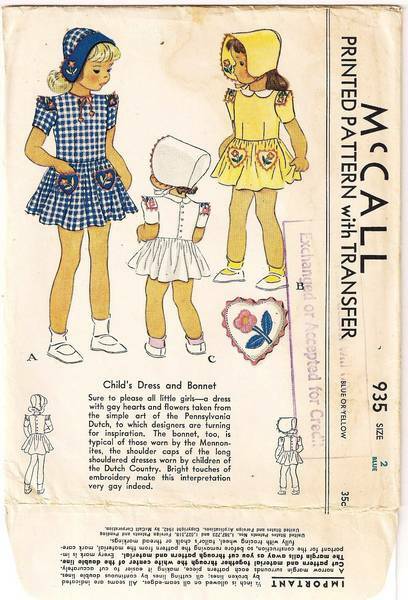 Dress and bonnet with Pennsylvania Dutch inspired accents. Mennonite inspired bonnet. Includes unused transfer for heart and flower accent on pockets, shoulders and bonnet.